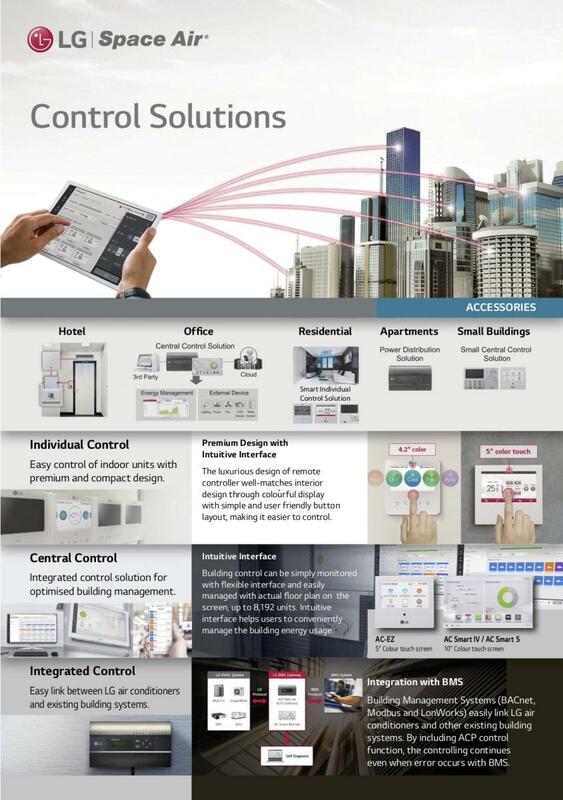 LG control systems range from the smallest room air conditioning controller to highly sophisticated, computerised, total building services management networks. Operational simplicity, instantaneous response, precise and accurate regulation, are common to both large and small controllers. Handheld and wall mounted units ensure an even room temperature, night and day. Larger central monitoring and control systems provide commercial users with valuable fuel consumption, air conditioning, and performance data. 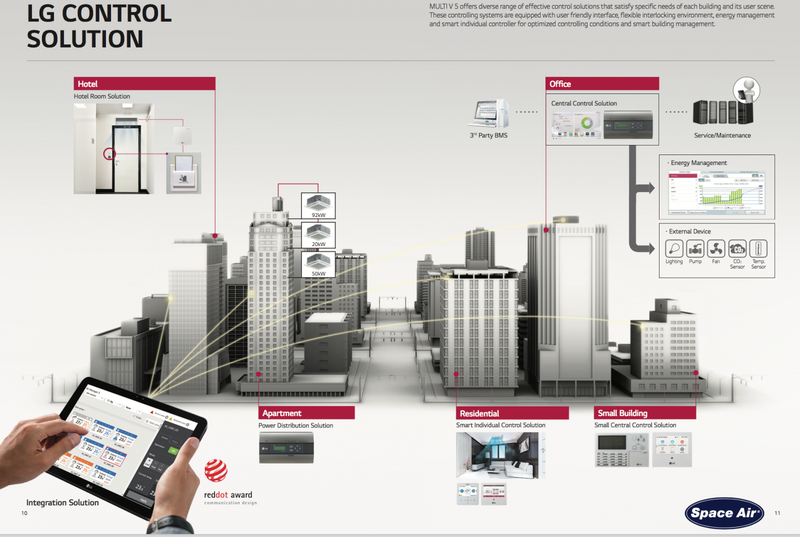 LG provides a new solution to monitor and control the main functions of its residential/light commercial indoor units. The system works in an end-user friendly way and can be used from any location via a smartphone, laptop, PC, tablet, app or wired remote controller.